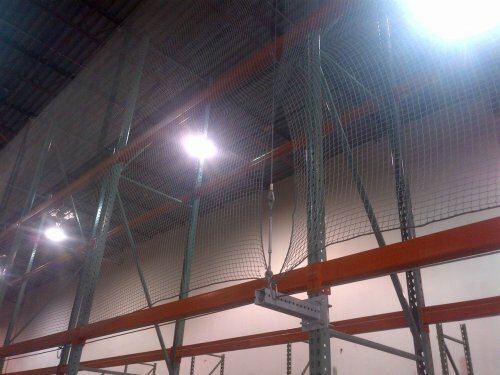 We have some used safety netting in stock (as seen in pictures). 0ver 170 feet long x 12 feet tall. This mesh safety netting is great for 16' - 18' tall uprights, beam size does not matter as netting can easily be modified to fit any beam length. We also provide installation service of this product.